What is important to know, issuing invoice from Latvian company? You need to be aware that you cannot issue invoice to other EU country client unless you have EU VAT Number. If you already have EU VAT Number, but your EU client does not have it, you need to add 21% VAT to the invoice. It is your obligation to check whether your client has valid VAT Number on the date of invoice or not. If you have active VAT Number and issue invoice to Latvian client, you always need to add 21% VAT. What is obligatory information that should be included in the invoice? Each invoice issued by you should have the following mandatory fields: Invoice date, unique identification number, name, legal address, registration and vat number of your and your client’s company, details about service or goods, delivery period, prices, taxes, number of article in the law that supports tax calculation, etc. It is always good idea to show your invoice to accountant, before issuing it first time. What is good practice issuing invoices? In order to keep track of all issued invoices you need to have invoice register, where you store all information about each invoice and it’s status (paid, not paid, cancelled, etc). You can do it on your own (Excel, Access, etc), or use special tools that share information with partners and accountants online. If you store your invoices in separate files, make sure you have common name structure for them, like “14.05.2014_ClientName_SIA”, or “35-2014_ClientName_SIA”. What is good practice paying invoices? Once you do a payment to suppliers, it is good idea to write in the details of payment not only invoice number, date, but also information about VAT in the invoice. Your payment details can look in the following way – “Invoice Nr 2014-35, from 14/05/2014 for rent, VAT Amount 14.53 EUR”. This small addition to the description will not only make your account statement more detailed, but also allows your suppliers to catch mistakes and inform you about them on time. What you need to know making cash transactions on behalf of the company? 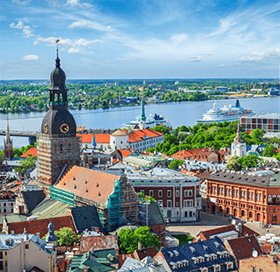 Cash transactions with one supplier on the amount of more than 7000 EUR are forbidden in Latvia. If you make a cash transaction with one supplier that exceed 1500 EUR, please, supply all necessary documents to accountant, as it should be declared. Be sure that your company data are included in all cash receipts you receive from suppliers, starting from 28 EUR without VAT. What you need to know about representation expenses? Going to restaurant or making presents to company clients you need to be aware that only 40% can be put in company expense sheet. You also need to prepare representation report on each event that took place, where you need to justify how this event connected to the business of the company. It is better to consult accountant if you plan to have significant representation expenses, as some of them may not be deducted by the nature of expense at all. What you need to know about VAT once you buy a car (not cargo) for a company? Once you buy a car, it is important to know that only 80% of VAT can be written off. This means that buying a car in Germany or other EU country with 0% rate on your Latvian company, you would need to pay 20% of VAT to Latvian budget. Some suppliers require you to pay invoice amount with their local VAT (Bruto) on condition to return this amount to you once you confirm that the car is registered in other EU country. What you need to know about company car (not cargo) taxes? There is a car tax on the use of the car in the company in Latvia. Car tax is in the range of 30-60 EUR per month and depends on engine volume. It is possible not to pay this tax only if you prove that the car is used 100% of time for the company needs. For this, you would be required to install GPS tracking system and register this in CSDD department. On the request of State Revenue Service (SRS) you should prove company car use for the business by making GPS system data extracts.